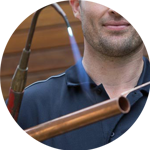 Looking for a plumber in Waltham Forest? The Handy Squad is here to give you a helping hand. Our team of experts have the whole of Waltham Forest covered. 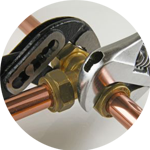 Since 2005, we have been completing plumbing tasks to an exceptional standard and at a fair price. 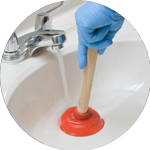 We deal with any jobs you need completing, from replacing sinks and repairing toilets as well as installing pipes. 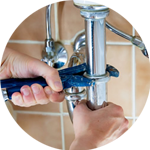 Why not give your local Waltham Forest plumber a call? The area got it’s name from Waltham Forest, an institution that managed deer in Essex. The borough continues to have a big art connection, such as the North East London Independent Artists group, the 491 Gallery and the annual E17 Art Trail, which showcases open studios and exhibitions. Waltham Forest is also known for being one of the host boroughs of the London Olympics in 2012. No matter where you are in Waltham Forest, from Cann Hall road to King’s Head Hill – our team will resolve any potential plumbing issues in a proficient and timely manner! Our team specialises in repairing toilets, unblocking showers, replacing dishwashers, installing new taps and much more. If you are looking for other handyman services, our Handyman London team offers moving services, carpentry, jet washing and much more.